After the atomic bombing at the end of World War II, anxieties about survival in the nuclear age led scientists to begin stockpiling and freezing hundreds of thousands of blood samples from indigenous communities around the world. These samples were believed to embody potentially invaluable biological information about genetic ancestry, evolution, microbes, and much more. Today, they persist in freezers as part of a global tissue-based infrastructure. 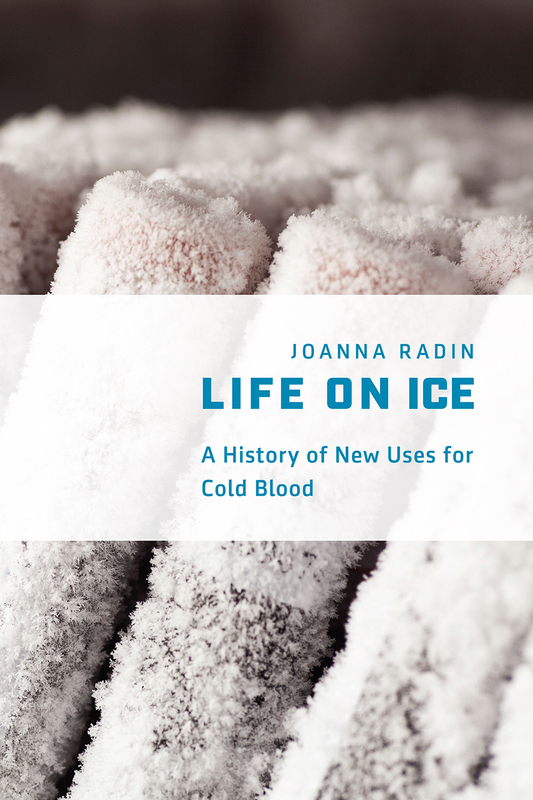 In Life on Ice, Joanna Radin examines how and why these frozen blood samples shaped the practice known as biobanking. The Cold War projects Radin tracks were meant to form an enduring total archive of indigenous blood before it was altered by the polluting forces of modernity. Freezing allowed that blood to act as a time-traveling resource. Radin explores the unique cultural and technical circumstances that created and gave momentum to the phenomenon of life on ice and shows how these preserved blood samples served as the building blocks for biomedicine at the dawn of the genomic age. In an era of vigorous ethical, legal, and cultural debates about genetic privacy and identity, Life on Ice reveals the larger picture—how we got here and the promises and problems involved with finding new uses for cold human blood samples. "Her sharply original history focuses on serum collected from indigenous communities and frozen during the cold war. Some samples have had a starry afterlife: one from the Belgian Congo, taken in 1959, later became the oldest trace of HIV/AIDS on record. Radin sweeps from the emergence of cryonics to the rise of genomics — and from burning ethical debates over indigenous rights to ancestral remains." "Radin discusses the background of refrigeration technology and the curious connection between Christianity and cryobiology, and she adds information on the ongoing debate concerning the ethics of scientific exploitation and informed consent. What resonated with me most was learning how this vast collection of blood and tissue samples affects nuclear preparedness." "Life on Ice is a welcome contribution to the topic of biological collections and postcolonial science and technology studies. It combines careful historical accounts with broad-ranging interests, leading to a narrative that is rich in fascinating detail...It is written in a nimble and warm style that is distinctive for its lively language and extensive use of metaphor, even if the latter is a double-edged sword, as it can at times obscure the important message. Still, this book rewards the reader with a considered reflection on the unique challenges that the freezer—and the archive—present us with as they mediate the multiplicity and complexity of our lived time(s)." "Radin’s book has both the advantages and the disadvantages that come with studies that refocus their historical narrative around the scientific subject as opposed to scientists or institutions: they cover a lot of ground, but the narrative threads must be made to work together despite their tendency to pull in all directions. Life on Ice manages to make it work, in a wide-ranging narrative that somehow unites extremely disparate characters and places"